We’re glad to share our experiences and expertise with you in our white papers and case studies. We are in business to help organizations engage and challenge their employees to create new solutions and products that will allow them to become more competitive and profitable. If you are interested learning how — Please contact us. 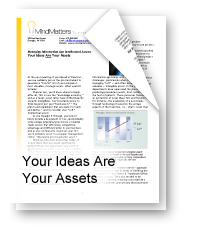 Thank you for your interest in MindMatters Solutions.